The sun’s out and an early spring breeze is wafting through the windows when suddenly that glowing orange eyesore appears – the one that flutters the hearts of motorists everywhere, while giving thoughts of drained bank accounts and nervous conversation with the tow truck driver. But fear not! 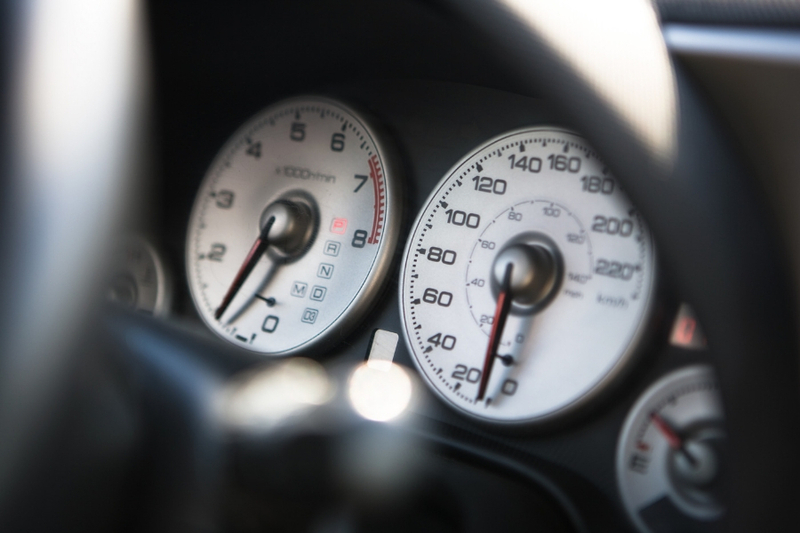 The check-engine light (or CEL) is not the death sentence many drivers believe it to be. The reasons for seeing a CEL are myriad and generally benign. 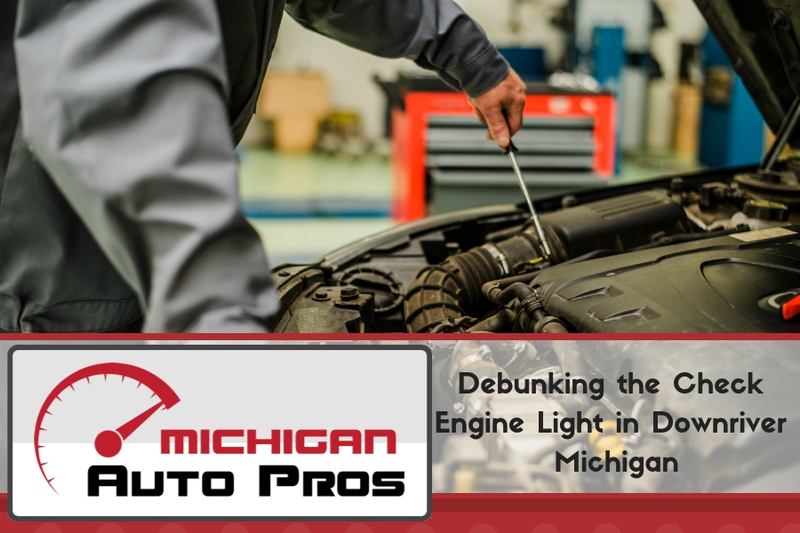 Read on to better understand why the CEL appears, and what you should do if your dashboard illuminates the check engine light in Downriver Michigan. The check-engine light isn’t as bad as you might think. A sold orange pictogram of an engine simply means your car’s onboard diagnostic system has detected a fault of some sort, and many of them stem from the emissions system. When you see a solid orange CEL, it’s safe to keep driving. You don’t need to immediately pull over and get towed to your nearest service station. Solid is safe. Blinking however, is not. If your CEL is blinking, it’s because your car’s computer is trying to warn you that using your vehicle beyond this point could result in catastrophic (read: costly) damage. Fortunately, a blinking CEL is seldom seen. You may have heard that a check-engine light can be cancelled by tightening the gas cap. The rumors are true. Simply tightening your gas cap can indeed make a CEL go away. The reason for this is that many components in your car’s emissions systems are linked with a CEL. A loose gas cap allows unburned hydrocarbons to escape into the atmosphere, thus increasing emissions and deepening your car’s carbon footprint. If you see a check-engine light, inspecting your gas gap is an excellent starting point in your quest for resolution. Okay, so you weren’t quite that lucky and tightening your gas cap didn’t solve the problem. There’s still no reason to panic. The CEL is easy for most technicians to diagnose, which helps you dodge sometimes costly diagnostic fees. Nearly all relatively modern vehicles generate a code when displaying a CEL. Sometimes this code can be accessed by the driver by scrolling through whatever displays the dashboard might feature, and some (very few) cars will actually tell the driver specifically where the fault was detected. But if all you’ve got is a check-engine light, bringing your car to a service station is something you should do in the near future – if only for your own peace of mind. When a technician is presented with a check-engine light, he or she will use a device that plugs directly into the car’s computer and tells them where the issue lies. This gives a general starting point and helps establish whatever costs might be associated with a repair. A faulty O2 sensor is a common source of a check-engine light, and a fairly straightforward repair. This sensor helps the car self-adjust fueling by measuring the amount of unburned oxygen being emitted by the engine. It’s an important piece of hardware, and many cars have at least two. Expect to pay between $200-500 depending on the make, model, and location of the sensor. The catalytic converter is probably the best-known emissions component to those not otherwise privy to automotive technology. Often referred to by the name of the internet’s favorite animal, the “cat” sits in-line with your exhaust system and routes exhaust gases through a super-heated mesh coated with precious metals like platinum. The subsequent reaction converts some of the emissions to water, which is why you may notice water occasionally dripping from the tailpipe of a car. Aside from an easily remembered name, the cat is also known for being expensive – largely due to the metals needed to make it work. Furthermore, lots of cars have more than one. While the cat isn’t critical to your car’s performance, it does reduce pollution and proper function is legally mandated by nearly every state. A CEL can also be the result of a malfunction in the ignition system. While many drivers might not know (or care) what an ignition coil is, its function is easily understood. In the simplest terms, motors work by igniting fuel to create controlled explosions and harnessing that energy to propel the vehicle. The ignition coil generates the electricity for the spark plug, which it then uses to ignite the fuel and create the explosion. A faulty ignition coil may not provide enough electricity, resulting in a weak spark and an incomplete burn. The consequence is reduced power, increased emissions, and a check-engine light. Replacing these components generally runs about $250-450. The spark plugs themselves can also become dirty, corroded, and otherwise fail which may also generate a check-engine light. These can easily be checked by any automotive tech. While these are only a handful of potential causes for a CEL, they do serve to underscore the fact that a CEL does not generally mean your engine is circling the drain. Nobody likes an unexpected bill but understanding that a CEL doesn’t necessarily equate to urgency should afford some relief while planning the repair. Sometimes weather conditions play a role too – especially cold ones. If it’s an unusually frigid morning and you turn on your car only to be met with a CEL, simply drive it for a bit and see if the light goes off after the car warms. It could be something as benign as a frozen sensor. As long as the light isn’t blinking, you’re generally safe to go about your business. Just don’t let it go indefinitely. At Good Care Auto, check-engine lights are a specialty. We run the latest diagnostic equipment and service vehicles of all makes and models. From coils to cats, they offer affordable service and a friendly ASE-certified staff. Don’t fear the orange glow, call Good Care Auto today at (734) 285-1188 and let them diagnose your check-engine light in Downriver Michigan and get you back up to speed! Next Summer Will Soon Be Here, Is Your Car’s Air Conditioner Ready?